I’ve been a fan of Shimano brakes for quite a few years now. After trying numerous different brands I always seem to gravitate back to the modern Shimano’s – their predictive feel and ease of maintenance being hard to beat. 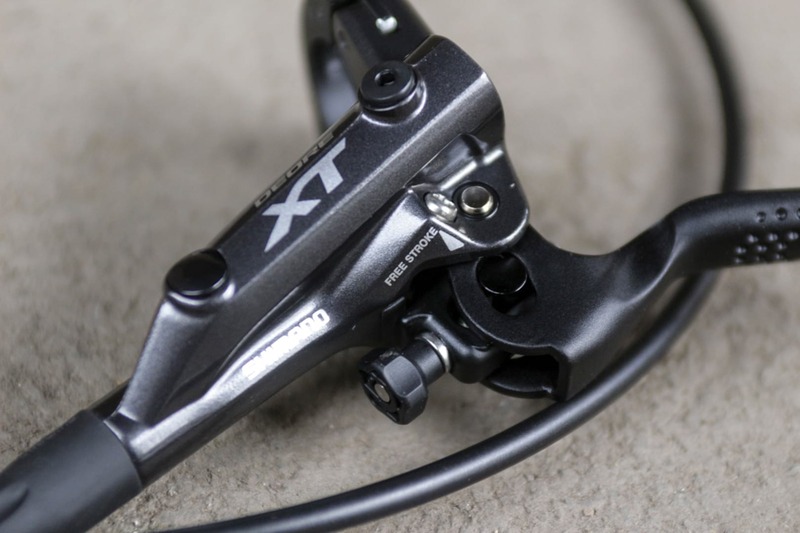 My go to brake of choice was Saint for their amazing ‘dropping an anchor’ power, but due to recent bike builds involving internal routing and non-compatibility of levers / callipers, I’ve been running XT’s for the past year or so. 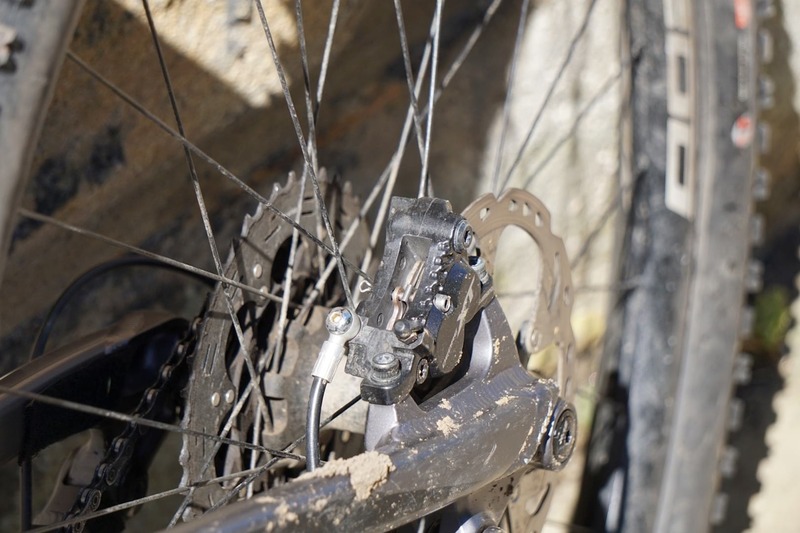 The XT 2 pot brake offers good performance, but I found myself missing the additional power of Saint’s on long steep descents, and their ability to get you out of trouble when needed. So when Shimano announced the new XT four pots, they went straight to the top of my list of ‘must have’ test kit. Did they live up to the expectation? I’ve been riding them since mid-April to find out! The M8020 uses the same lever and Servo Wave technology as the M8000. Dual 17mm & 15mm pistons give a claimed 20% more stopping power. 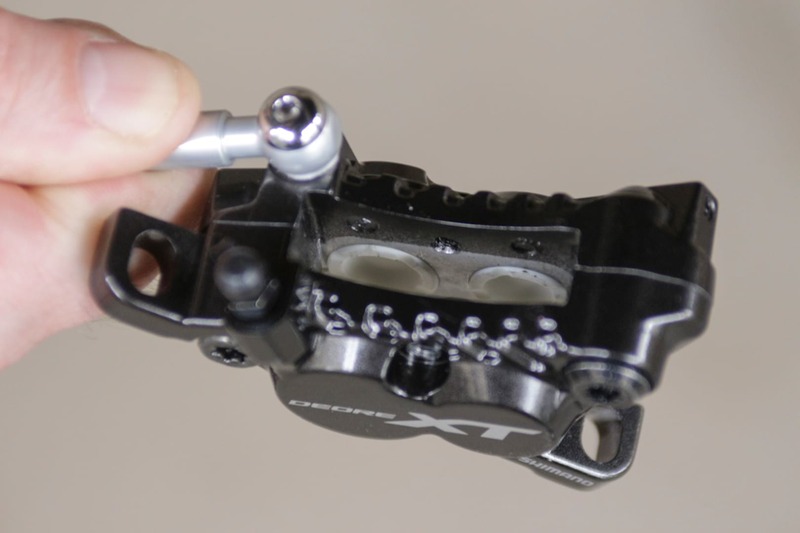 The new 4 piston M8020 XT brake has been designed for trail, enduro and e-MTB use. Using the same lever as the current M8000 2-piston XT’s, the new M8020 calliper uses a pair of 17mm & 15mm pistons in each to give increased stopping power over their lighter 2-piston siblings. 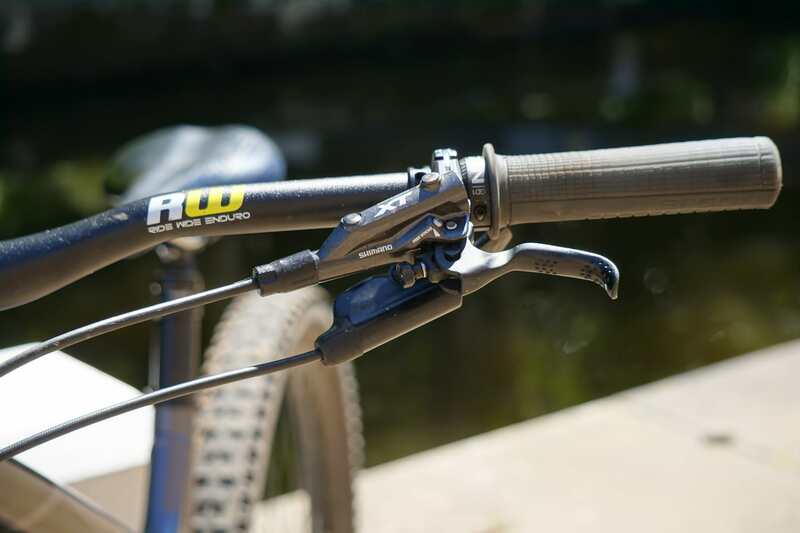 With the lever being the same, it uses the same servo wave technology for fast pad engagement and offers tool free reach adjustment and the ability to also adjust the free stroke of the levers. Tool free reach adjustment and adjustable free stroke. 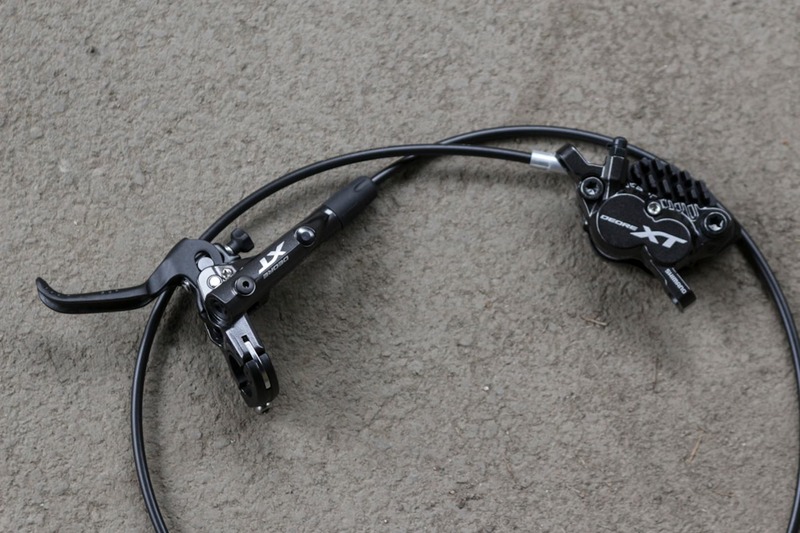 As with all the other Shimano brakes, the M8020 uses mineral oil and these particular brakes come fitted with Shimano’s H01A resin brake pads, which are also finned for better heat dissipation. The pads are the same shape as you’ll find in a Saint brake, so spares are easy enough to get hold of and are also readily available in a metal sintered flavour. Both the pads and rotors employ Shimano’s Ice Tech technology. 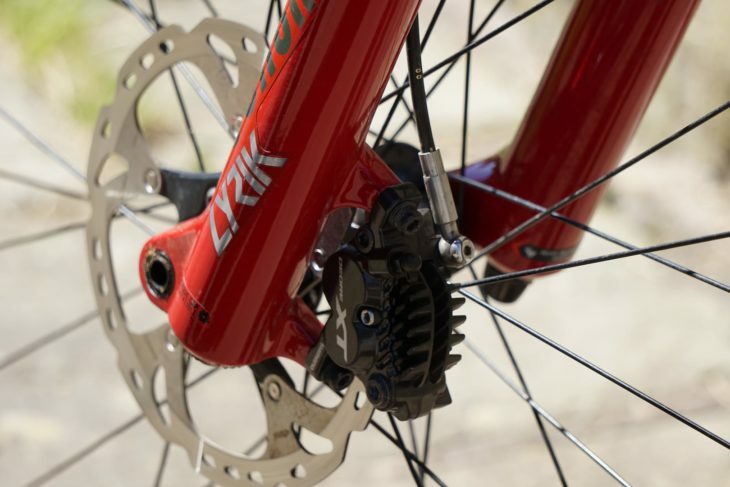 Far from being a replacement, this new brake is an addition to the groupset, sitting alongside the M8000 2-piston brakes for those riders that are looking for enhanced stopping capabilities. Shimano claims that the new callipers offer 20% more power than the existing M8000 2-piston brakes, while actually improving modulation. Big claims for sure. I originally set the brakes up on an Orange Stage 6 that was running the standard M8000 brakes. With the Stage 6 having internal hose routing, the fact that the new M8020 brake uses the same lever and BH90 hose as the M8000 made it a quick and easy job. To test the compatibility between the two brakes, I kept the rear M8000 lever and hose in position and just changed the calliper (one thing to note here is that the main banjo connecting bolt is different between the two callipers, so make sure you use the right one if swapping and changing yourself!). I-Spec II split clamp design makes installation nice and easy. A quick bleed of the rear brake using Shimano’s simple One Way Bleed system to get rid of any air bubbles caused by swapping around the callipers was all that was needed. Add to this the split clamp design and I-spec II compatibility, and set up is a simple affair. 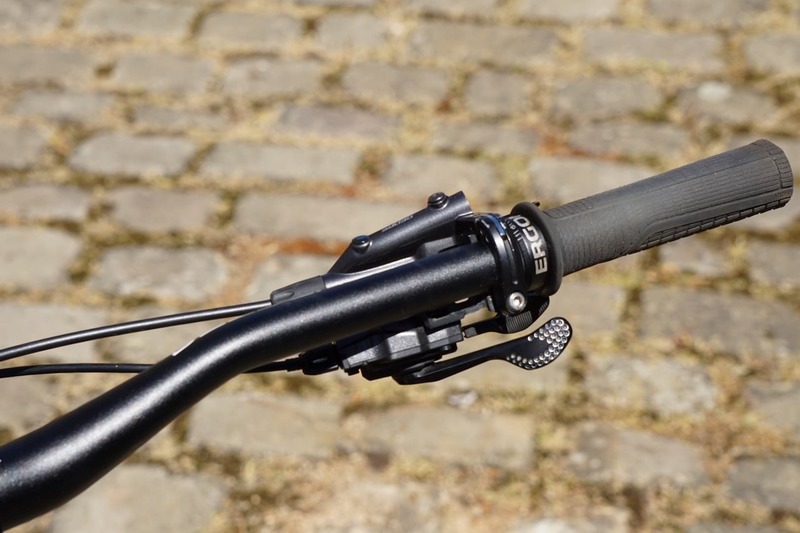 Integrated I-Spec II shifter clamp. I fitted the M8020 brakes the day before I was due to fly out to Malaga for a few days riding overlooking the Mediterranean and the Costa Del Sol. As far as brake testing goes, the area was perfect with a mix of steep, rocky, natural tracks and flat out built DH style tracks. This was followed up with five days up in Fort William and plenty of local riding on the steep natural tracks that litter the valley and my local hill. 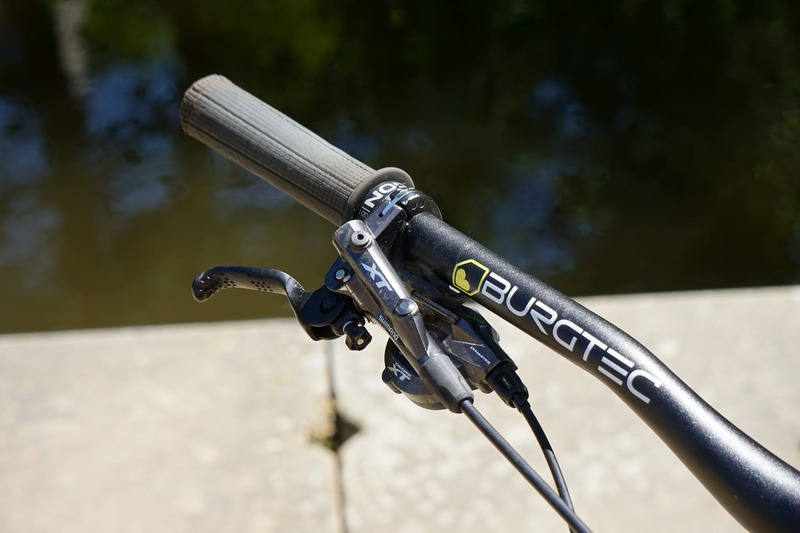 Using the four pots, the initial feel is the same as other Shimano brakes, with quick pad engagement and then a nice, solid feeling bite point. The overall power delivered by the four pistons is certainly a step up from the M8000 2-piston callipers though and lets you feather the brake more, using the increased modulation to control speed rather than having to grab a huge handful. This is especially noticeable on steep tech tracks where it feels easier to adjust the braking force rather than locking up the wheels. 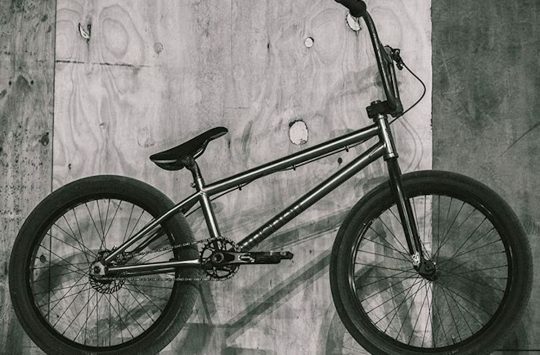 This lets you concentrate more on riding the lines you want and picking your braking points rather than just slithering your way down, fully locked up at both ends. 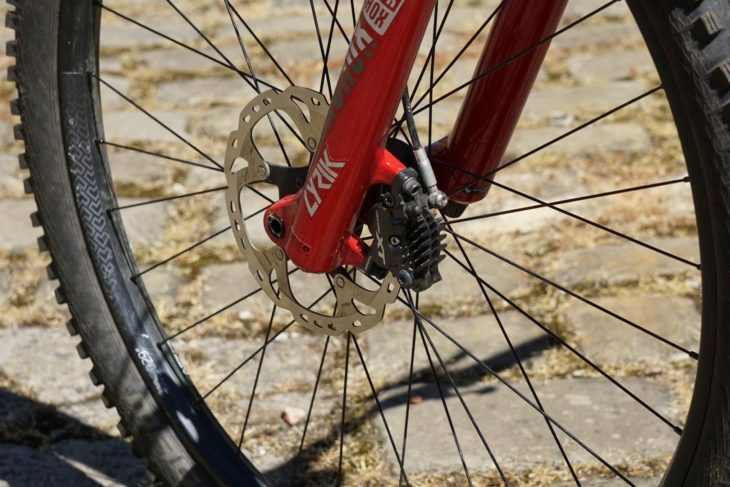 Or alternatively you can just ride flat out into everything knowing you can rely on the brakes to do what they need to, exactly when you want them to. Before fitting these brakes I’d been running a 203m front rotor with the M8000 piston brakes to get some added stopping force, but due to swapping forks part way through the test, this changed to 180mm rotors. Even with the smaller rotor though, the braking performance was still higher and I didn’t feel the need to go back to 203mm. A 180mm front rotor still gave plenty of stopping power. The increase in calliper size also seems to cope better with heat build-up and dissipation, and during the test period, even on on 20+ minute long descents the brakes weren’t affected by heat build up and fade. After a few (unbelievably) hot and dusty rides on the steep tracks around Fort William, I went out in the wet to ride the same tracks and nearly got caught out a couple of times. There was a noticeable drop in braking performance when conditions were damp and sloppy, but thankfully this is an easy and relatively cheap change to make and shouldn’t reflect on the brake’s overall performance. In my experience (with other brands’ brakes too), organic pads don’t really cut it in properly wet UK conditions. When I got back from Fort William I replaced the worn out organic pads with Shimano brand sintered ones, and although not finned, the performance has been just as good. Sintered non-finned Saint brake pads. The M8020 brakes are good. Really good. In the two months that I’ve been testing the performance and reliability has been outstanding. A change of pads on the rear was all that was needed to keep them running consistently. There’s a substantial increase in power over the two-piston versions but it’s delivered in a nice, smooth, manageable way. 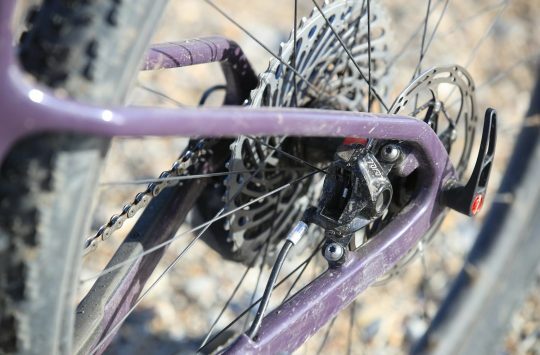 You can certainly still grab a handful and lock things up when you need to, but you can also use it to refine your riding. With only 30 or so grams weight difference over the two-piston variety, they’re a great way to up your braking without adding much weight. The callipers are also available separately so you can use your existing levers making it a good way to upgrade if you’re currently running the regular two-piston version, though just be aware that you’ll need to source the correct banjo bolt. Interview: David Turner - "You’re either ‘enduro’ – or you’re not"
Very good review! I will do this caliper upgrade very soon, actually have the M8020 calipers now waiting to be fitted. Though on the very last sentence of your review, did you mean “shorter” banjo bolt!? Hi gatz28 – Good spot! And thanks for pointing out. That’s now updated. 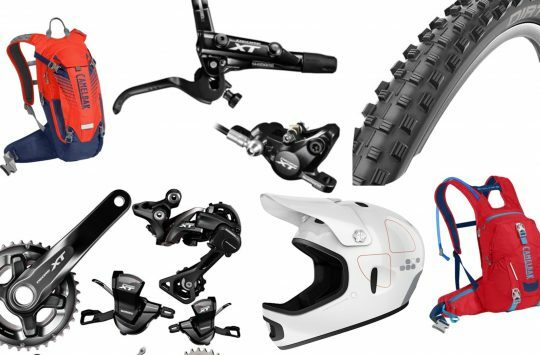 XT BR-M8020 set is basically lever of M8000 and ‘rebadged’ caliper of Zee! M8020/Zee 4pot caliper certainly has better modulation and power than 2pot M8000 caliper and worthy upgrade. How do these compare to saints?